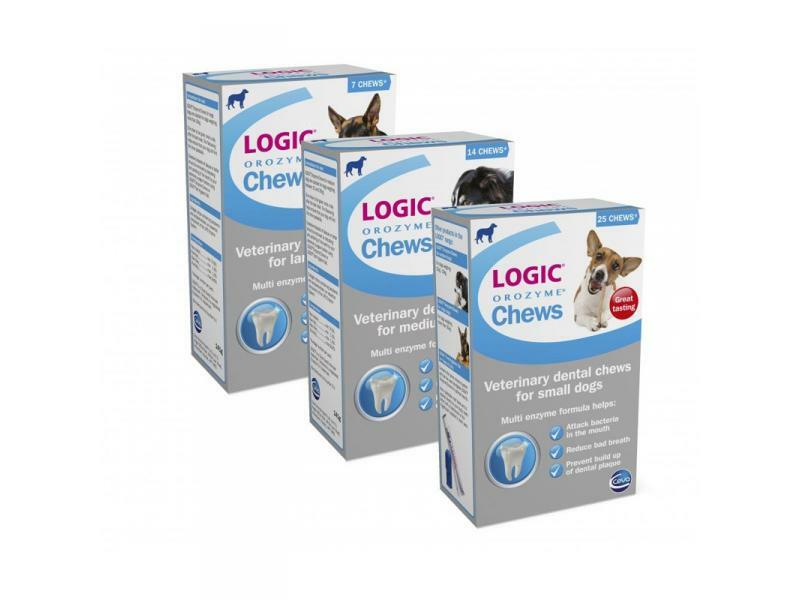 Logic Orozyme Dental Chews are palatable beef and pork rawhide chews which discourage plaque from a dog's teeth and gums. The first sign of a poor mouth health is often bad breath. Others can include red and inflamed gums, discoloured teeth, excessive salivation and loss of appetite. 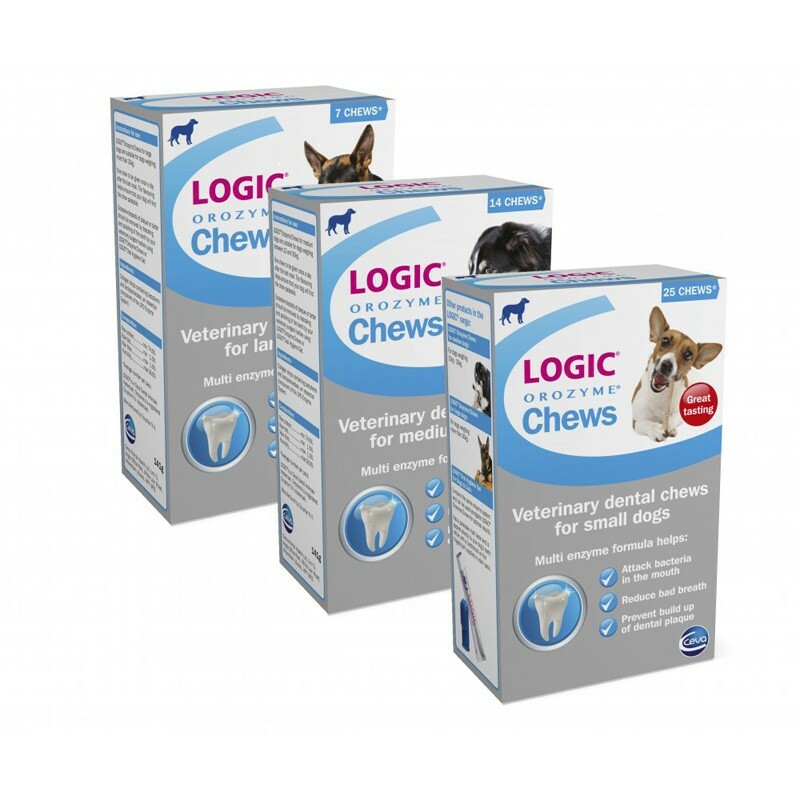 This new innovation in pet dental hygiene not only mechanically discourages plaque as they chew but each piece is sprayed with the Logic antibacterial enzymes and agents to help attack bacteria in the mouth and strengthen the mouth's natural defence system. One chew to be given once a day after the last meal. The flavouring helps ensure that your dog finds the chew palatable. Excessive deposits of plaque or tartar should be removed by descaling and polishing of the teeth by your veterinary surgeon. Below are some recent questions we've received regarding Logic Orozyme Dental Chews, including answers from our team. What part of the animal does the raw protein come from? The raw protein comes from the animal skin. These chews are safe at any age, though I would not recommend them for dogs under 6 months of age. At 8 months of age they should be a good idea for your dog.